Imagine you are leading a team or a business. 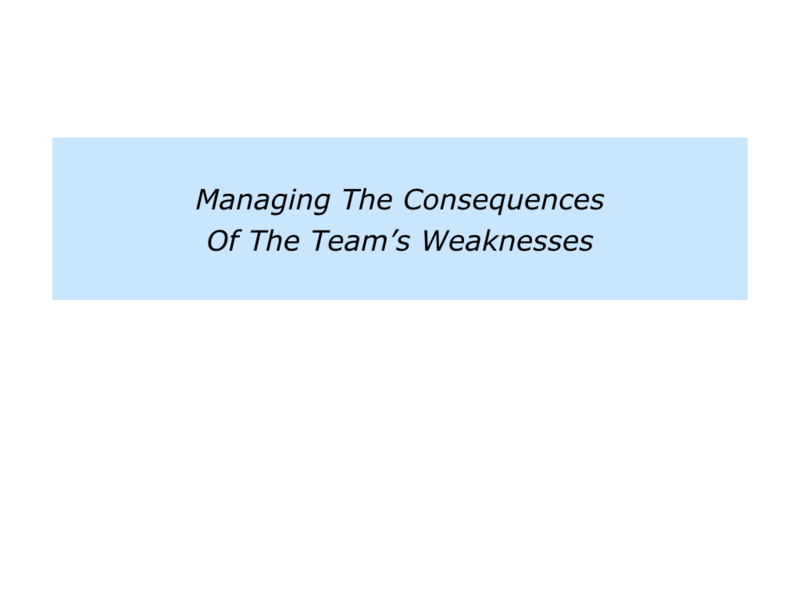 How can you ensure it builds on its strengths, whilst managing the consequences of any weaknesses? This article looks at one approach that works. It explores how you can help a team to do what it does best, whilst also dealing with any issues that might undermine its efforts. 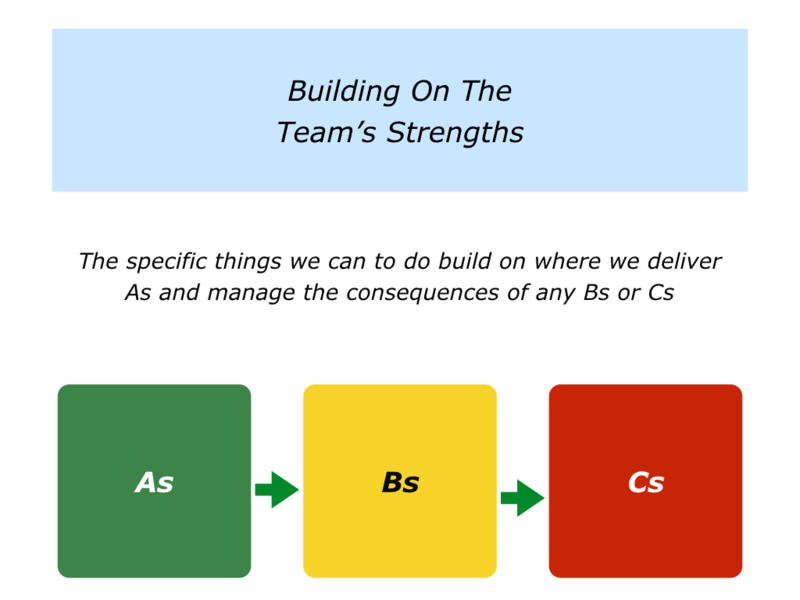 Super teams start by building on their strengths and clarifying their picture of success. They then translate this into a compelling story, strategy and road to success. Everybody knows what mountain they are climbing, why they are climbing it and how they will reach the summit. They also know who will be delivering what and by when. Such teams are made up of people who want to be positive, professional and peak performers. They choose to opt in and make clear contracts about their best contribution towards delivering the goals. Super teams co-ordinate people’s strengths to perform superb work. They overcome setbacks and find solutions to challenges. People do whatever is required to achieve the picture of success. 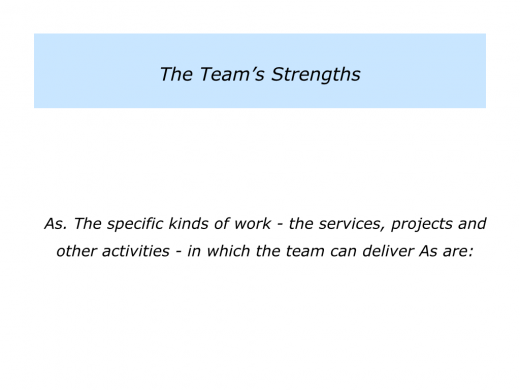 Bearing this approach in mind, how can you help a team to clarify its strengths? Here is one approach. 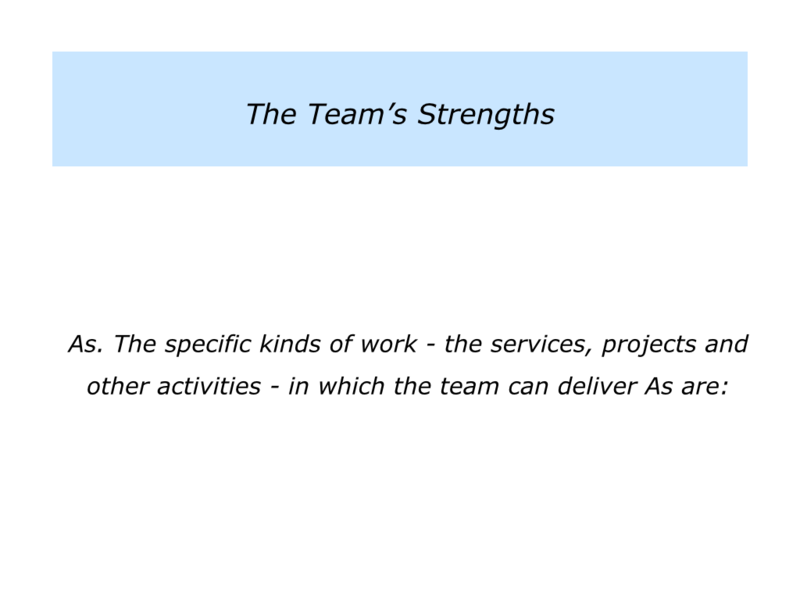 Describe the specific kinds of work – the services, projects and other activities – in which they believe the team can deliver As, rather than Bs or Cs. Describe the reasons why they believe the team can deliver As in these areas. The specific times in the past when people have performed well in this area. The specific reasons why they believe the team can perform well in this area in the future. Invite people to be specific when writing their ideas. The team may be good at delivering certain kinds of services to certain kinds of customers, for example, but not at good working with other types of customers. Give people time to write their Post-its. Then invite each one go up in turn and put their ideas on the following flip charts. Imagine that people have described where they believe the team can deliver As. You may then wish to invite them to explore the following steps. 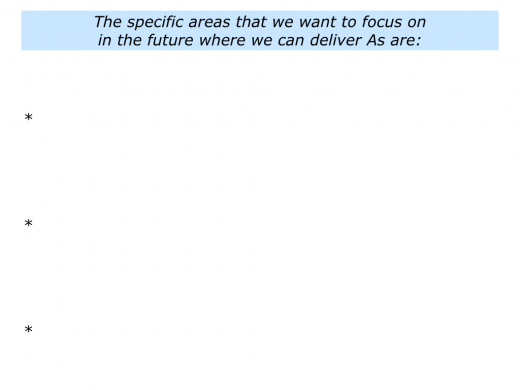 Describe which of these areas the team would like to focus on in the future. “Looking at the activities in which we can deliver As, which should we focus on to help both our team and our clients to succeed? What will be the benefits of doing these things? Explore the various ideas and then make decisions. Decide which of the areas you want the team to focus on in the future. Then move on to the action stage. Describe how the team can build on the specific areas where it can deliver As. 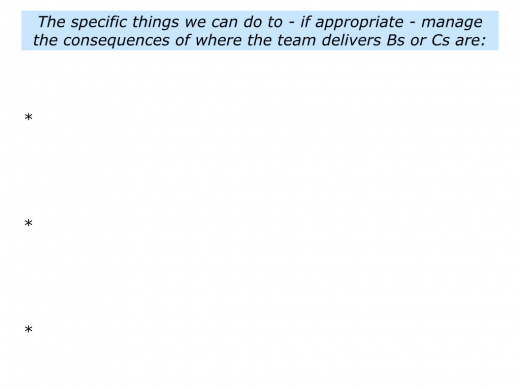 Settle on the specific areas the team wants to focus on in the future. Invite people to make specific action plans regarding how to make these things happen. Looking at each area in turn, encourage people to make crystal clear plans that cover the following themes. The What: The specific results to achieve. The Why: The specific benefits of achieving these results. The How: The specific strategies people can follow to achieve the results. The Who: The specific people who are responsible for achieving the results. The When: The specific things that must be achieved and by when. 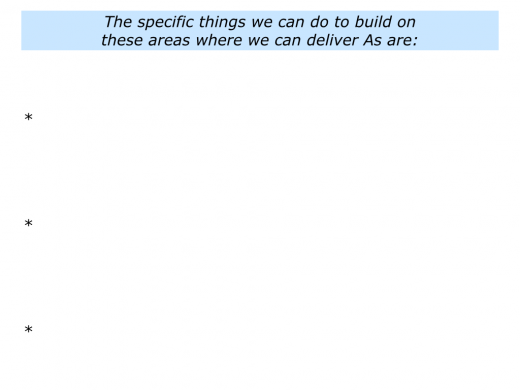 You can invite people to summarise their plans by completing the following flip charts. During the past fifty years I have encountered many super teams. The first was dedicated to placing volunteers around Britain. The most recent was dedicated to doing pioneering work in the digital space. Such great teams have one thing in common. They all spend lots of time maximising where they deliver As. 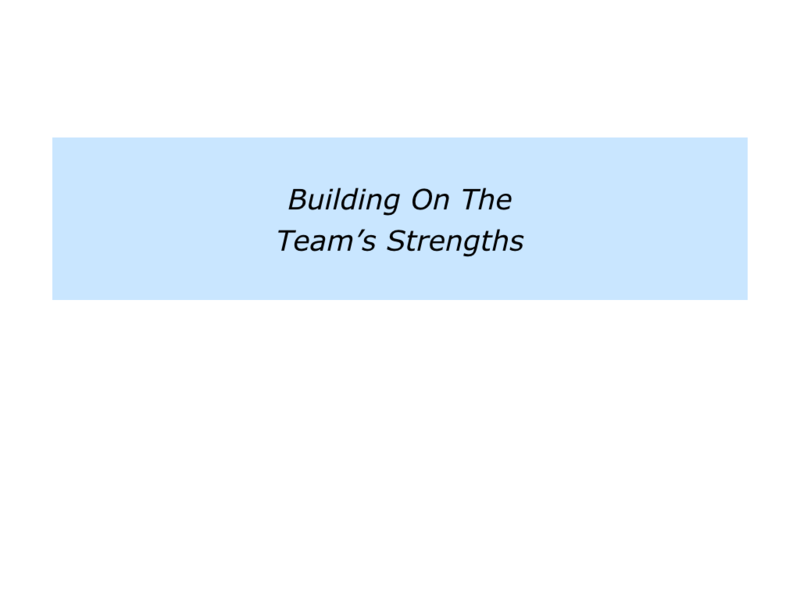 Poor teams, on the other hand, pay scant attention to building on their strengths. They simply focus on fixing their Bs and Cs. If you wish, invite your team to do the final exercise on this theme. This invites them to do the following things. 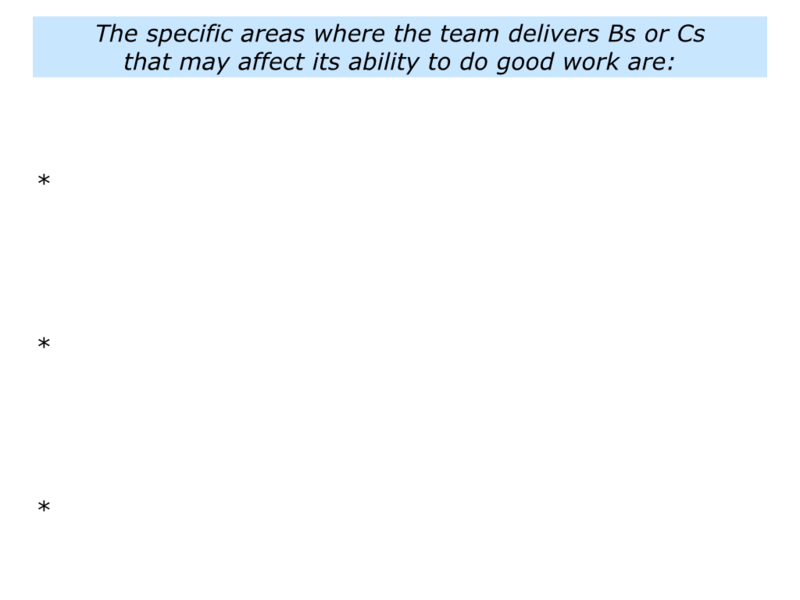 Describe the specific areas where the team delivers Bs and Cs that may affect its ability to deliver great work. 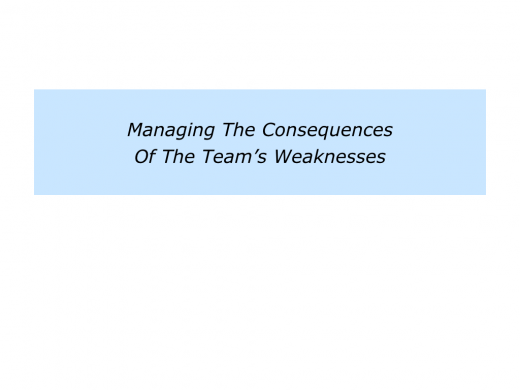 Describe the specific things the team can do to manage the consequences of these weaknesses. 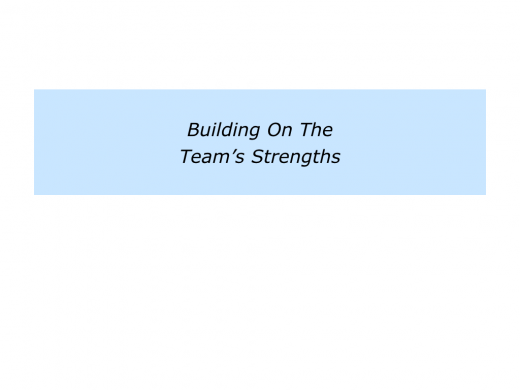 Super teams build on their strengths, because this is what makes them special. At the same time, however, they manage the consequences of any relevant weaknesses. You can follow this approach in your own way to help the team to deliver peak performances.